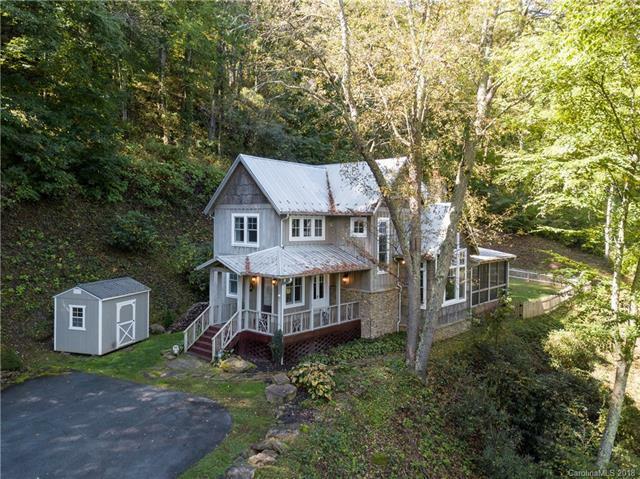 This cozy cottage in the trees has the feeling of a New Orleans plantation house. The charming bungalow features high ceilings, windows everywhere, warm pastel colors, gleaming hardwoods, granite counters, and beautiful quality finishes. The main level offers a Great Room with open kitchen, dining and living room with wood burning fireplace, laundry room, plus a luxurious Master Suite. Enjoy the evening air and lovely views from the the screened porch which overlooks a fenced flat yard - perfect for Fido, garden or play yard. The upper level boasts two spacious En Suite bedrooms. Enjoy the luxury and amenities of a larger home in the convenient package of a smaller one.